Western Gull occidentalis ... 1st cycle (1CY), October 29 2014, Ballona Jetty, California, USA. Picture: Hartmut Walter. Please visit Hartmut's Flickr Photostream for more images! 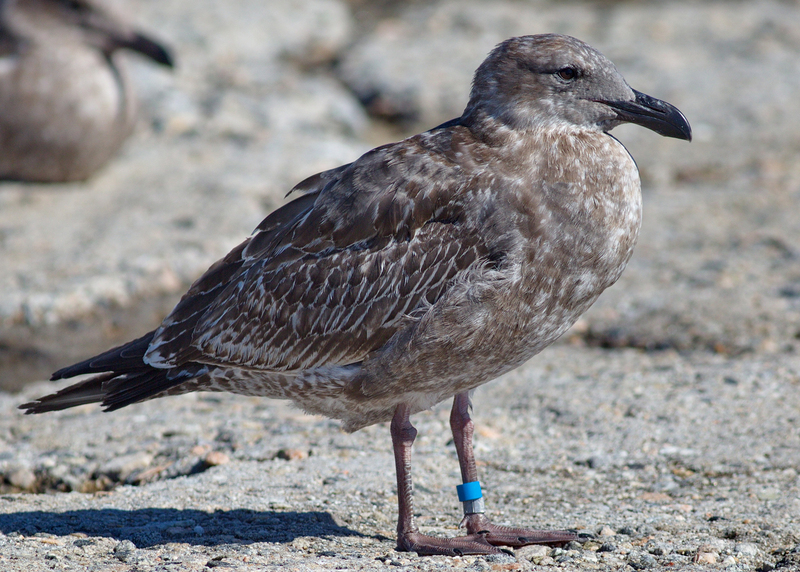 All of the banded WEGUs with plain color bands, found in California have been from the Southeast Farallon Islands. For every year, they start using a new colour for that cohort. This is a bird from year 'BLUE'. Hatch year 2014. Many upper scaps replaced. Otherwise in juvenile plumage.